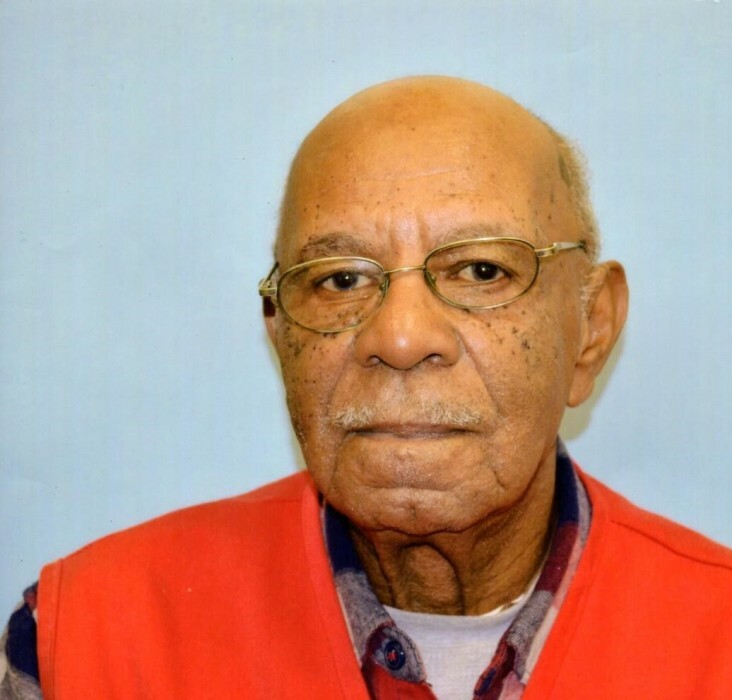 In profound sorrow, the Britt Funeral Home and Cremation Service join with the Robinson Family to announce that Mr. Obadiah Robinson of the Parkstown Community, La Grange, North Carolina, at age 81, has completed his earthly journey. Mr. Robinson transitioned from labor to reward on Tuesday, January 22, 2019 at the Vidant Hospice Center in Greenville, North Carolina. He was born in Lenoir County, North Carolina on January 1, 1938 to the late Mr. Clarence Robinson and Mrs. Laurena Rowe Robinson. Obadiah received his education in the Lenoir County public school system. In his younger years, Obadiah joined Saint James Church of Christ Disciples of Christ Church under the leadership of the late Bishop E. L. Uzzell in La Grange, North Carolina. Later in life, he united with the Saint Matthew Free Will Baptist Church also in La Grange, North Carolina and under the leadership of Pastor Claude D. Sawyer. During Obadiah’s working years, he was employed as a construction worker for several years. He worked as a Foster Grandparent at RHA Walnut Creek and Dillard Academy. Also, he served as a volunteer in the WAGES Foster Grandparents Program in Goldsboro, North Carolina for more than 17 years. Later in life, Mr. Obadiah meet, dated, and married the love of his life, the lovely, Mrs. Mae Bell Phillips Robinson. Mr. Obadiah was preceded in death by his parents, Mr. Clarence Robinson and Mrs. Laurena Rowe Robinson; his brothers, Allen Robinson, Leonard Robinson, O’Neil Robinson, O’Berry Robinson, and Eugene Robinson; his sisters, Lillie Mae Exum, Estelle Artis, Annie Mae Bizzell and Lucille Graham; his step children, Betty Pearson and Charles Person; his nephews, Tyrone Artis, Billy Ray Dawson, Algena Exum and James H. Robinson. A celebration of life service will be conducted on Monday, January 28, 2019 at 11:00 a.m. in the Saint Matthew Free Will Baptist Church, 2758 Jenny Lind Road, La Grange, North Carolina 28551. Pastor Claude D. Sawyer will officiate. Also, a public viewing will be held on Sunday, January 27, 2019 from 2:00 p.m. to 5:00 p.m. in the Britt Funeral Home Memorial Chapel, 414 East Washington Street, La Grange, North Carolina. Mr. Robinson leaves a legacy of love and memories to his wife of 20 years and of the home, Mrs. Mae Bell Phillips Robinson; his step children, Gloria Phillip and Mary Bowden both of Goldsboro, NC, Peggy Blackman of La Grange, NC, Irene Person of Raleigh, NC, Caroline Tann and husband, Carson, of Denver, CO, Verconia Person and Goldie Person of Maryland, Jimmy Person and wife, Rose, of Maryland, Donald Person and wife, Ofheeyah, of Goldsboro, NC, Bobby Person and wife, Jeannie, of Kinston, NC, and Isacc Person of Snow Hill, NC; his brother-in-law, William P. Graham of La Grange, NC; his sisters-in-law, Frances Robinson and Vernice Robinson both of La Grange, NC; his faithful nieces, La Barbara Davis and Alfreda R. Bizzell of La Grange, NC; his faithful nephew, Benjamin Robinson of La Grange, NC; a special great niece, Edwina Griffin, whom loved to cook for him; a host of grandchildren; great grandchildren; great-great grandchildren; and host of other nieces, nephews, cousins, other relatives and friends. On Monday, January 28, 2019, the family members and friends will assemble at the residence of Mrs. Mae Bell Robinson, 1349 Parkstown Road, La Grange, North Carolina at 9:40 a.m. in preparation for the funeral procession. Floral arrangements may be delivered on Friday morning, January 25, 2019 beginning at 10:00 a.m. to Britt Funeral Home and Cremation Service, 414 East Washington Street, La Grange, North Carolina.